I was invited to an event from my sister tonight; A costume party hosted by the Women in Animation organization. 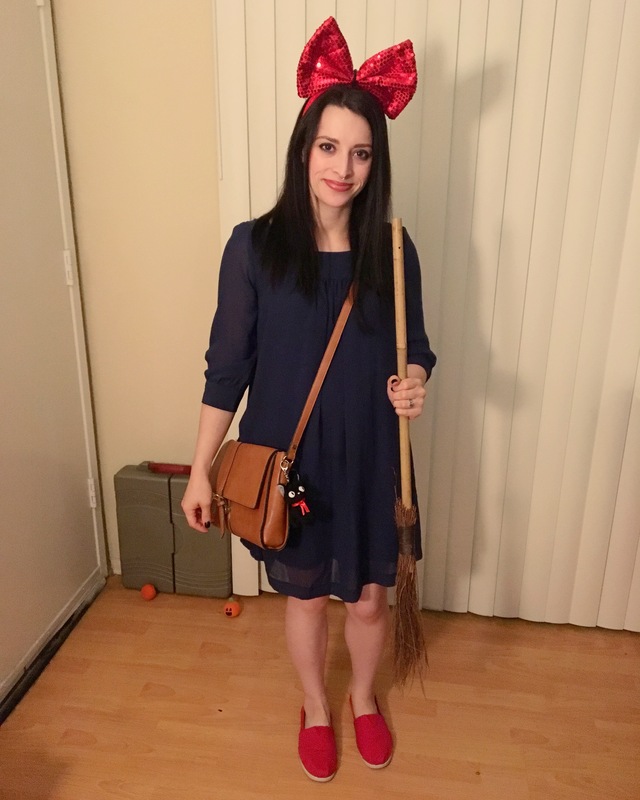 I usually dress up as a couple things every year for Halloween because I’m just so indecisive… Kiki came to mind because it’s a simple and classic costume. Who doesn’t love Studio Ghibli movies (Spirited Away, Princess Mononoke, Grave of the Fireflies, My Neighbor Totoro, etc)?! So I made a trip to the Goodwill, found this blue dress. Made a stop at Rite Aide, found the shoes. And lastly, went to Party City for the bow and broom. The costume was under $20! I’ll save my second costume for another post. Next Next post: Music and my everlasting dream.